WAIRCOM, one of today’s Italian leading companies specializing in the manufacture of pneumatic components for industrial automation, offers a wide and diversified range of products, specifically designed for industrial use and able to guarantee safety and reliability over time. 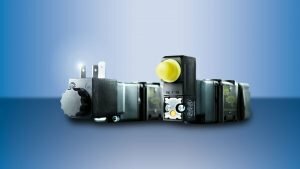 In fact, all our pneumatic components comply with European and international safety regulations, and most of them even with the not mandatory ones such as ATEX regulations, obtaining all the necessary certifications. This is to guarantee our clients only high-quality and long-lasting products. For more information, we suggest you to deepen all the topics on the dedicated pages or to contact us for any inquiries. 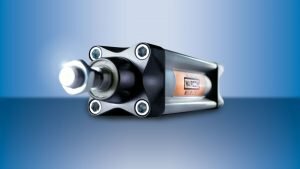 Waircom offers a wide range of pneumatic cylinders and pistons to satisfy the widest industrial needs and applications. We are able to offer linear actuators, with and without rod, guided, compact, rotating and no rotating cylinders, both conforming to the most widely used international standards and compliant with proprietary projects that aim to optimize value for money without neglecting the ever-present attention to continuous innovation. All product families include, when not already included in the design of the cylinder itself, a set of fixing accessories and magnetic sensors that allow a more complete range of uses. As always, this is made through a production system driven by a quality management system meeting the requirements of the UNI EN ISO 9001 standard. 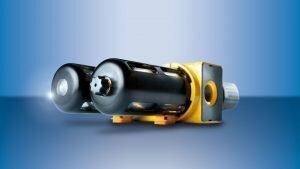 For more information on our range of pneumatic cylinders and pistons, please visit our dedicated pages. 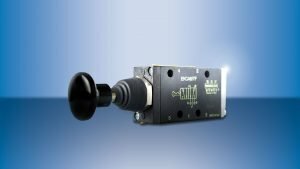 Waircom pilot and solenoid actuated valves have been manufactured with different production philosophies depending on the context in which they have to be used. 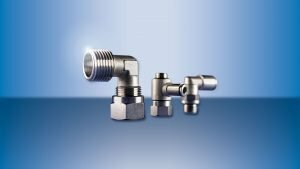 Therefore, beside the historic poppet valves, several series of valves with spool construction, for single use, on manifold, or with multipolar connection have been created over the years. Even for some of the series of this product family, there are some international standards that have been taken into account, besides which, as always, we offer a range of pneumatic pilot and solenoid valves of internal design, in accordance with market requirements. In addition, do not overlook the possibility, for some series, to work with or creating the vacuum, fulfilling another need of industrial reality. Also for this product family, there are accessories such as bases, coils and connectors. For more information on all the products in the catalogue, we suggest you to deepen on the dedicated page. Furthermore, if you have any questions, please do not hesitate to contact us, we will be glad to answer and satisfy all your requests. As for series of solenoid valves, also for this category of valves we can repeat the considerations regarding the various production technologies that have brought to the manufacture of spool valves besides the poppet ones. As understandable by the name, they are mechanical valves that can be operated either by a mechanical device or by an operator and they are used together with a series of complementary valves which, despite the name, are of fundamental importance for a correct and efficient operation of any pneumatic circuit. WAIRCOM produces all its mechanical valves in compliance with European and international safety and endurance standards such as the ATEX Directive. In addition to the wide range of mechanical components produced by us, there are the mini ball valves. For more information please visit our catalogs and we will be happy to answer any request. The air treatment units are one of the most important products family we produce. Before to be used in the plants, the compressed air must be properly treated. For this reason, Waircom offers these two Series of FRL groups (Filters, Reducers and Lubricators), which are presented in sizes ranging from G1/4 ” to G1″. In addition to these main articles, FRL can be assembled with shut-off and soft-start valves. Even for this products family, there are correspondent accessories (pressure gauges and pressure switches) that complete Waircom offer. For further information and inquiries, please visit the individual product catalogs. For any question or request, contact us: we will be glad to answer you. WAIRCOM offers a range of fittings and tubes to complete the selection of pneumatic components for the industry and to provide a truly complete service to its clients. To meet the different needs of an increasingly dynamic market, we have been able to listen to the advices of our clients by adding this fundamental products family to the wide range of our offer. Therefore, besides to the technopolymer or brass push-in fittings, we can offer push-on and standard fittings too, mini ball valves and a family of silencers. Waircom’s tubes offer is similarly wide, in terms of both measurements and materials used, to cover the widest possible area of pneumatic sector applications. For more information on our products, please visit our correspondent catalogs and if you have any questions, please feel free to contact us.